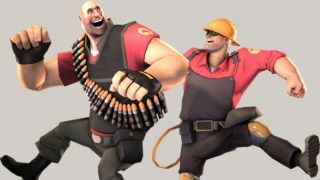 The first day of Team Fortress 2's countdown-teased update was light on game content reveals but heavy on entertainment. A 15-minute short film titled "Expiration Date," embedded above, follows the Scout's courtship of Miss Pauling (a character who's appeared throughout TF2's many comics) alongside the TF2 crew's discovery of the dangerous effects of teleportation on bread. The first day of the Love & War update did reveal five new emotes , but it looks like Valve is saving any hard details on what all this mutant bread is about until later this week, with more reveals likely coming on Wednesday, Thursday, and Friday. If we had to guess, the monster shown at the end of the video could be a new variation on TF2's existing, co-op " Mann vs. Machine " mode, a new boss encounter in a new environment. For additional theories, visit the TF2 forum on Steam .